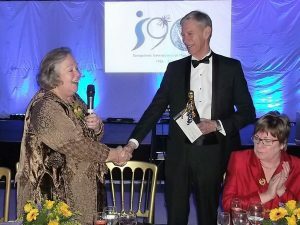 In April 2016, Act4Africa were delighted to receive a cheque for £5,000 from Soroptimist International Manchester to celebrate their 90th anniversary. Since then, the club have pledged a further £1,000 as part of our Big Give Christmas Challenge, which we are delighted to say was match funded by individual donations and Reed Foundation International. 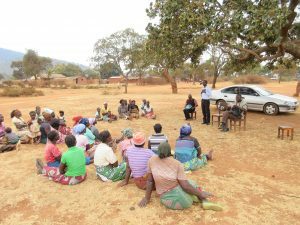 This funding has directly enabled our small team in Malawi to roll out the Health, Empowerment and Livelihoods (HEAL) project in Mchinji District over the past year. For every three young women in the Mchinji District, at least one will subsist on less than £1 per day; one will have experienced physical or sexual abuse, and one will most probably have had her first child before the age of 18. Of every ten young women, at least one will be HIV+. To date, the team have trained 18 young women, as community mentors, in sexual and reproductive health rights and gender equality. Each of these mentors have gone on to act as group facilitators for 25 other out-of-school women (aged 15 to 30), passing on what they have learnt. The Act4Africa team also train the groups in basic finance and business skills; encourage them to save; open bank accounts and start up enterprises, either individually or as groups. 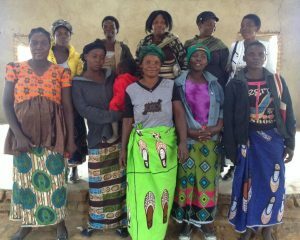 Groups that have successfully opened a bank account have been given seed funding, as part of the project, to help boost their savings and it has also been shown to increase the levels of trust, encourage the women to save more, and attract more members to their groups. To date more than 10 groups have opened their own bank accounts and started saving; over 60 loan applications have been processed by the groups themselves, facilitating 69 new enterprises. The types of businesses the women are setting up include buying and selling tomatoes, fish, maize flower, cooking oil, vegetables, second hand clothes, cosmetics and potatoes. Some of them are also baking and selling doughnuts, manufacturing washing soap, peanut butter and cooking oil, raising chickens for meat/eggs, growing tomatoes, beans and nuts, doing general farming and one even has a large shop for textiles. The women who run these businesses are taking control of their lives and are able support their families. The empowerment they receive as a result of their economic independence will stay with them for ever, long after the project has finished. Felicitey has a large family of 7, as she cares for the orphans or her relatives. Life is not easy for them: they lack many of life’s necessities and often go to bed with empty stomachs. Felicitey got to know Act4Africa when the team visited her village raising awareness of HIV. 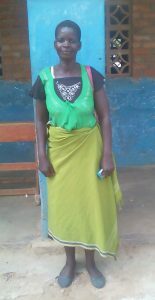 This year she joined a HEAL savings group and now her life is improving. Having taken a loan from her savings group, Felicitey now runs a small business from her home and is also involved in the group’s enterprise. She she says her life is “transformed”. Felicitey is confident that the businesses she now runs will help her provide for her family for many years to come.